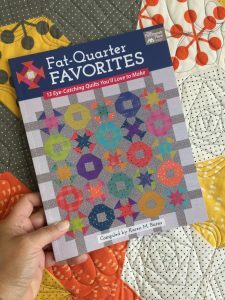 Fat-Quarter Favorites is about to hit the shelves at your local Quilt shop starting today. 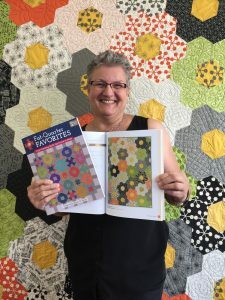 I’m celebrating because I was asked to take part in this compilation book based on your favourite cut: Fat Quarters. 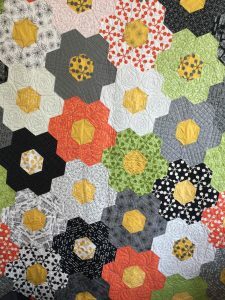 My quilt, shown on page 27, is My Urban Garden. Inspired my an urban garden surrounded by black paved roads, gray concrete buildings, and the city reflected in white windows, this design celebrates green creeping betwen the cracks, orange flowers growing in pots and planters, and stars shining down, blanketing us all in their glow.